Experience rapid results? Receive the benefits of combining treatments for targeted pain relief. Alternate your treatments between bath and mud packs. Moor mud has a number of actions and properties. 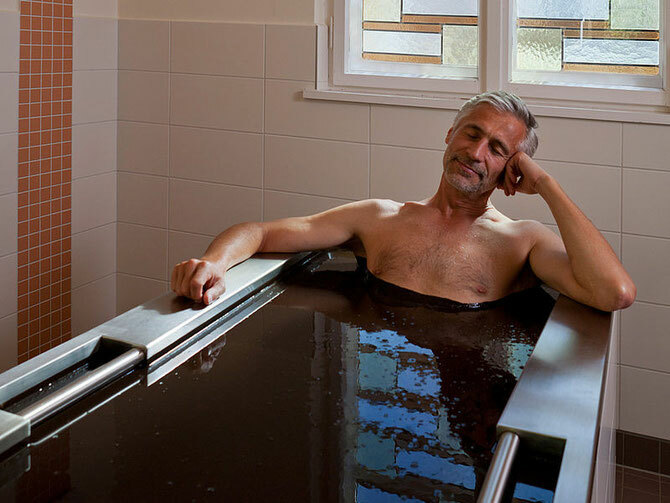 In brief, these actions stimulate blood flow, draw toxins, provide nutrients and provide deep consistent heating. Stimulating blood flow is necessary when complaints of muscle stiffness, fatigue, weakened immune function, chronic pain, muscle spasms, cold extremities, chronic injury, poor healing skin tissue and post-workout soreness and post op soreness. 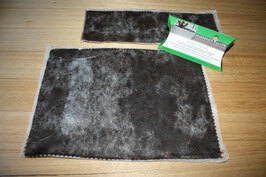 Moor Hot & Cold packs are made from 100% natural Moor Mud (Balneo-peat). Read more about therapeutic qualities. 1. Either Heat the mud pack or pop it in the freezer for 60 minutes. 2. Apply mud pack to affected area of treatment. 3. Leave for duration of 20 to 30 minutes. 4. Only use mud pack once, discard mud into your garden, makes great compost. 5. Repeat as often as needed. To combine treatments include one bath a week. Click here for full bath instructions. Mud will not dis-colour or damage your bath. Warning for bath therapy only, Persons with High Blood Pressure or heart disorder must first consult a physician. Due to mud's ability to draw toxic waste, refrain from sharing a bath. This may be a health-hazard. Note: If you begin to feel agitated on first application it is highly likely you have toxins within your body, please persevere by re-applying or bathing another 3 to 4 times. Once your body becomes less toxic, your experience will be one that of positive natural healing.